I sit at the table, a stack of papers in front of me. The red pen is dancing across the white sheets as I cross out something here or correct something there. I am grading papers – one of the uncomfortable parts of my teaching job. The more I have to tell others what they did wrong, the more I realize how twisted the mindset behind it is. We focus so much on our mistakes, call out what is not going well and complain about everything we lack. We have drilled our minds to watch out for the negative and always strive for improvement. And while I’m not saying that we shouldn’t grow and learn and change ourselves, I wonder if this mindset tells us something about a belief we have installed in our society and allowed to trickle down into the very core of our DNA: We are not good enough. There’s always something wrong about us. This lie has shaped our identity from early on and affects the way we perform in school, engage in our relationships, practice our faith. In this fast-paced world of ours, we only seem to matter if we become faster, better, more effective at hiding our weaknesses. But what if we shone some truth on this lie? What if we celebrated our strengths and put them to good use? What if we practiced more gratitude for the many great things we’ve been given? What if we handed out compliments instead of criticism for a change? What if we believed in the old words of “The Lord is my shepherd, I lack nothing”? Writing for Five Minute Friday today. How do we measure a life? What determines the label ‘good’, ‘successful’, ‘amazing’? The titles in front of our names? The numbers on our bank accounts? The mountains we have climbed in our careers? The accomplishments we can brag about? The size of our homes, cars, fridges? The value of stuff we can afford? The photos of our many glamorous vacation spots? What about the many little moments of happiness that show us what is really important? The seemingly mundane days when we simply show up for work and are present in what we do? The many conversations that give our soul depth and new perspective? The valleys that have taught us growth and endurance? The cracks in our surface that allow the light to shine through? What about the miraculous symphony of joy and pain that make life so incredibly rich? Maybe life isn’t supposed to be good. Maybe it was created to be abundant. There are certain things about ourselves that are rather difficult to control. Like our emotions or spontaneous reactions to something we see. As I rode the subway halfway across town with twelve giant balloons in tow, I noticed people were looking at me differently. Heads turned and followed my every step. Looks lingered just a few seconds longer than normal. And then people broke into smiles, shy at first and then grinning from one ear to the other. Some nodded at me with approval, others voiced a soft “Oh”. And I couldn’t help myself, I just had to chuckle and wonder about such a simple thing of joy. And I believe there are a lot more metaphorical ‘balloons’ in our lives that we tend to overlook in our busyness or are too afraid to acknowledge. Dreamy sunrises and sunsets on cold winter days. Someone singing along to music in their ears on their morning commute. A stranger smiling at you. A child talking to you as if you’d known them for years. A pretty dress on someone else. A word of encouragement from a friend. People elevating your ideas to something magical. The smell of your favorite food at the end of a long day. It takes just a few little things to make us happy. Watch out for the ‘balloons’ in your mundane life – notice them, acknowledge them, speak them, celebrate them. When I first started teaching, I would sometimes stand beside myself as if someone else was teaching in the classroom. Even though I had spent quite a few years at university preparing myself for this job, I didn’t feel ready to be a teacher. I was waiting for the day when a student would jump up, point his finger at me and discover who I really was: a fake, pretending to be someone else. An imposter to my own life. Sometimes in life we might do exactly that: we stand beside ourselves and watch life happen to us. We compare ourselves to the shiny projections others share online and wonder why we don’t seem to be so happy, well-traveled and balanced. We long for authentic relationships and a sense of belonging, but we are scared to be vulnerable and rather hide our true selves. We carry all these big dreams inside of us that we’re too timid to share, so we stick to the same old. We want to have it all figured out, to know exactly who we are and what we stand for. We want to go far and grow deep, but we lack the courage to take the first step right in front of us. We think of who we will become. In all of this, we might overlook the most important part: We are the ones who can make it happen. In fact, we need to make it happen. No one but us can build the life we envision to have. The life before had happened to me as childhood happens to everyone. The mark of adulthood is when we happen to life. To Shake the Sleeping Self. If we want to grow and go anywhere in this life, we need to take responsibility for ourselves and the person we want to become. We can’t escape from the seeming imposters in our lives – we need to get to know ourselves and fall in love with them. We are the only ones who will always be around. We can’t chase someone else’s dream – we need to figure out what we truly want in life. We cannot just repeat what others say – we need to craft our own words. We can’t hope for answers to come by naturally – we need to sit in the waiting and embrace the unknown. We can’t expect relationships to grow out of the blue – we need to give away some of our time, our thoughts, our selves to build something that lasts. We can’t just stand by and watch life happen to us – we need to understand what kind of crucial impact we can have to this life. to be alive – with all the colors it may show. 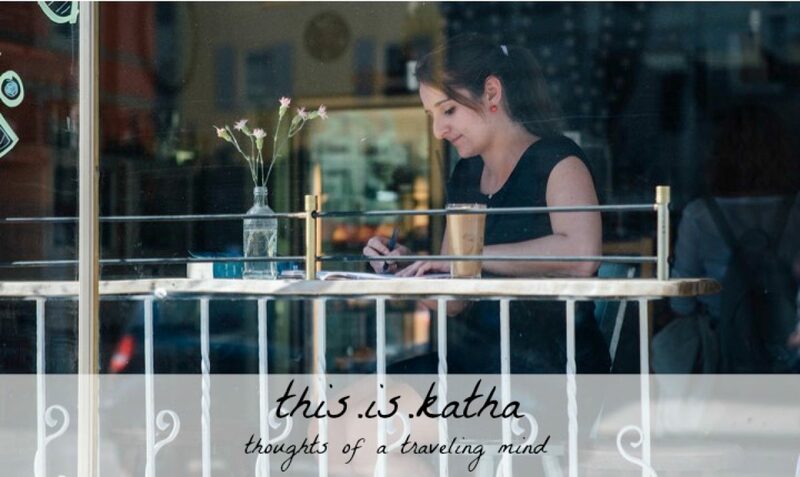 Author Katha von DessienPosted on February 1, 2019 February 1, 2019 Categories English Only, Faith, Five Minute Friday, Poetrish12 Comments on Where Are You? I know I’m a little late to the game, but welcome back to a new year on this part of the internet! Here’s to a new year of making plans, hard work and great achievements. Here’s to a new year of self-doubt. You’re not good enough for this task. Don’t overestimate your own talent. You will never be able to see it through to the end. This has never been done before. No one will read your writing anyway. So you want to become famous? I am not saying that this year all your dreams will come true. And if you’ve been around here for a while you know that I am not a big fan of New Years resolutions. I can’t guarantee that this year will be a good one for you. Let’s focus on influence this year. Seek inspiration for your work and creativity. If something or someone doesn’t strike a chord deep inside of you, don’t waste your time comparing yourself to them. Discover the magic of the unsubscribe or unfollow button. Slow down and notice the beauty around you. Dig into a good book and marvel at other artist’s craft. Challenge yourself and listen to someone outside your bubble, you might just find treasure. Find your people who are brave enough to dream with you and step into the groundwork together. Surround yourself with friends who are willing to hold your heart as it cracks open with vision and vulnerability. Become aware of who you’re around every week and how you might influence them. Take responsibility for the impact you make on others and the world around you. Here’s to a new year in which growth and strength will slowly, gradually conquer the spaces in our heart where self-doubt once used to sit.